Version 0.1.6 of the ChainLadder package has been released and is already available from CRAN. The new version adds the function CLFMdelta. CLFMdelta finds consistent weighting parameters delta for a vector of selected age-to-age chain-ladder factors for a given run-off triangle. The added functionality was implemented by Dan Murphy, who is the co-author of the paper A Family of Chain-Ladder Factor Models for Selected Link Ratios by Bardis, Majidi, Murphy. 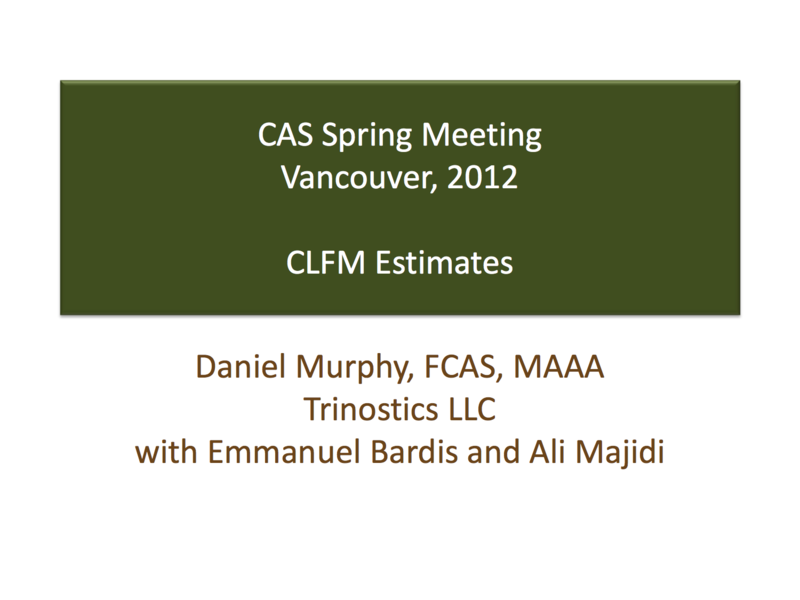 You find a more detailed explanation with R code examples on Dan’s blog and see also his slides from the CAS spring meeting.